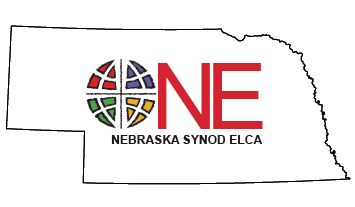 This fall, the Nebraska Synodical Women’s Organization will join with the Nebraska Synod Prison Ministry, the Nebraska Women’s Correctional Center in York and Chapter 25 (formerly known as the Kids Against Hunger Program/Lincoln), to pack 150,000 nutritious meals for those in disasters and the hungry in Nebraska and around the world. Those interested in supervising the packing stations at this event will meet on Friday, Nov. 4 at 6:00 pm at First Evangelical Lutheran Church (1211 E. 14th St.) in York. After getting acquainted, participants will learn about the Nebraska Synod Prison Ministry program, find out about the group’s food packing responsibilities and receive some sensitivity training. On Saturday, Nov. 5, the group will be at the Nebraska Women’s Correctional Center assisting inmates in packing 150,000 Kids Against Hunger meals for distribution to those in disasters and the hungry in Nebraska and around the globe. During worship on Sunday, Nov. 6, there will be a dedication service, morning and evening devotions and fun activities. The registration form and security form may be downloaded below. Because of the background check, the absolute deadline for registrations is Saturday, October 1.